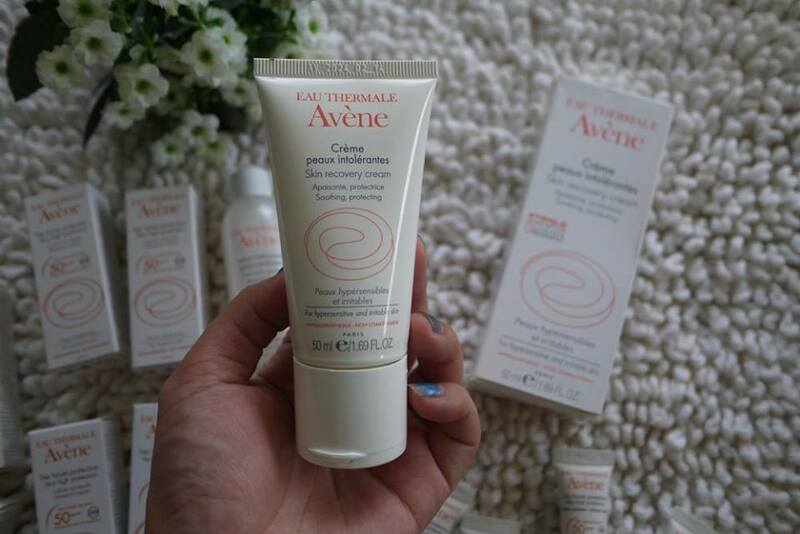 Eau Thermale Avène is famous for its gentle and milk formula that suits sensitive and even hypersensitive skin. 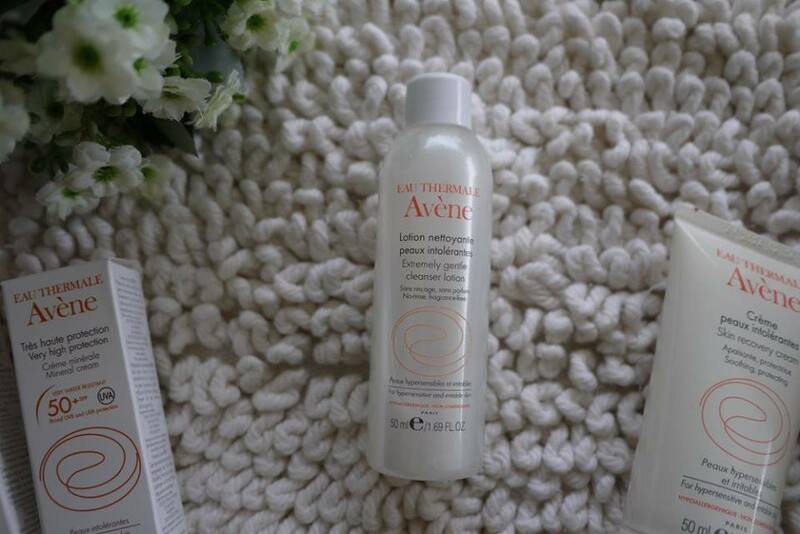 Back in 1736, the therapeutic use of Avène Thermal Spring Water has been recognised for its soothing and softening properties on Sensitive Skin. 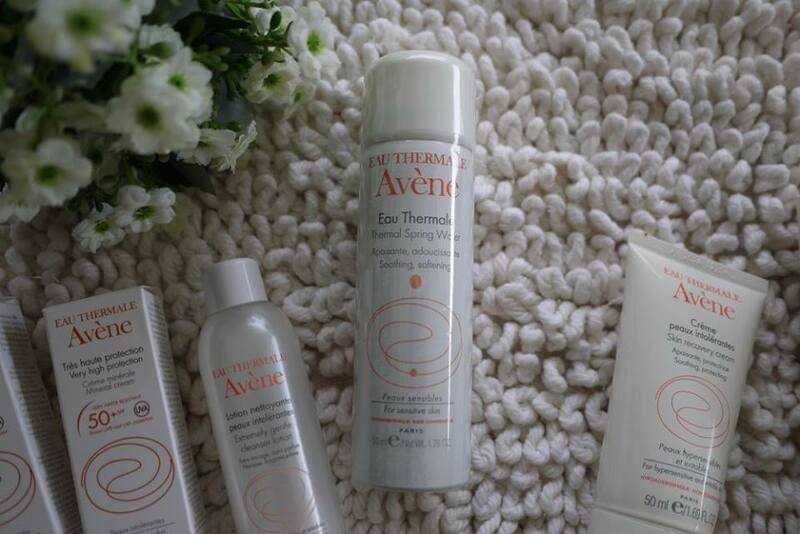 Launched in 1990 the Eau Thermale Avène skincare brand was created to capture these same healing benefits to soothe sensitive skins worldwide. Avène is widely recognized as #1 in French pharmacies among dermo-cosmetic skincare brands and also the most recommended by dermatologists and pharmacists worldwide. Thanks to Tap bySeeties, I was given a set of Avène Skin Care to try recently. 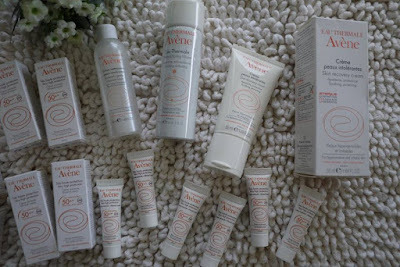 The Avène Hypersensitive Skin Care Range consists of Avène Extremely Gentle Cleanser Lotion and Skin Recovery Cream (D.E.F.I) while the normal range consists of Avene Thermal Spring Water and Avène Very High Protection Mineral Cream SPF 50. 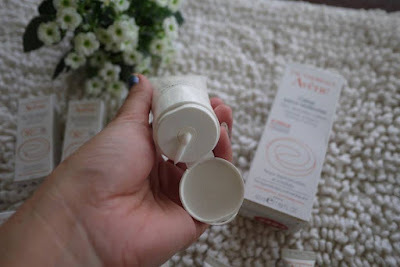 What is my Avène Hypersensitive Skin Care routine? 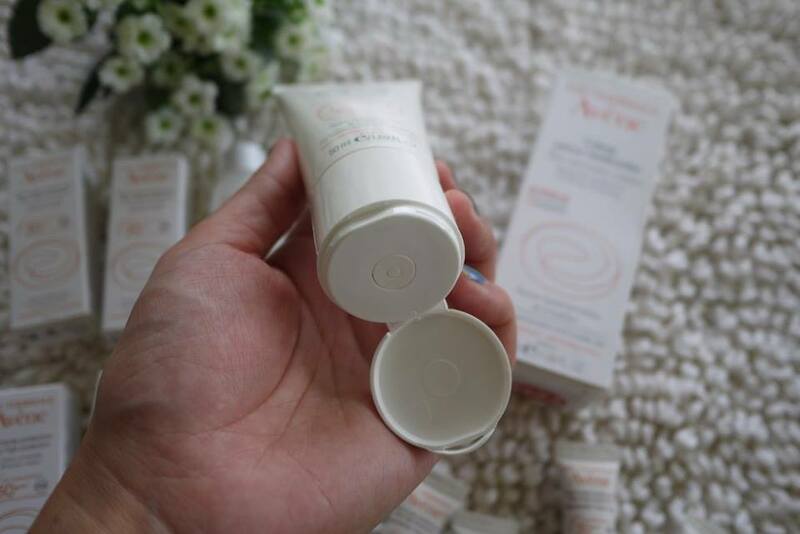 First, wash my face and neck with Avène Extremely Gentle Cleanser Lotion. Then, spray on Avène Thermal Spring Water and apply Skin Recovery Cream (D.E.F.I) all over the face and neck day and night. During the day, I added a layer of Avène Very High Protection Mineral Cream on top of it to protect my skin from harmful UV rays. 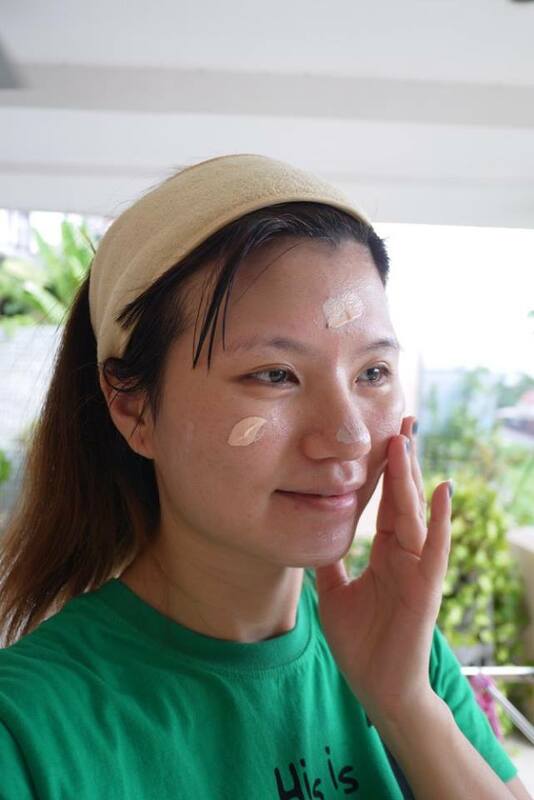 It is tinted in color, and it even up my skin tone just like a BB cream does. Hypersensitive skin deserves hypersensitive treatment. Hence, cleanse our face with a gentle cleanser made especially for hypersensitive skin is necessary. Avène Extremely Gentle Cleanser Lotion is dermatologically tested for intolerant skin (easily irritated by soap, fragrance, colorants etc) and formulated with the new patented active, Parcerine® to rapidly calm irritation and provide long-lasting protection. Even though this no-rinse gentle cleanser is paraben and fragrance free, it still does a good job in cleansing my face while leaving my face clean and soft. Next, my clean face is ready for moisturizer. 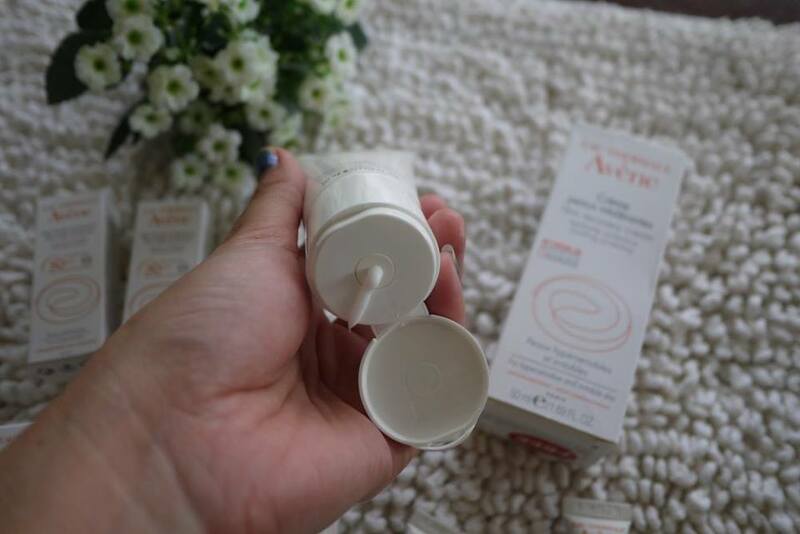 Soothe and hydrate extra dry, irritated skin with the new Avène Skin Recovery Cream (D.E.F.I) which is an intensely healing cream that’s ideal for those suffering from rosacea or eczema. Rich in Avène Thermal Spring Water plus formulated with the new patented active, Parcerine®, it delivers incomparable calming benefits to restore skin’s balance. There’s no risk of burning, stinging or irritation—this exclusive formula contains minimal ingredients to ensure maximum tolerance. Avène Skin Recovery Cream (D.E.F.I) moisturizer is rich and creamy in texture, but it absorbs nicely into my skin. A little is all I need for my whole face and neck. 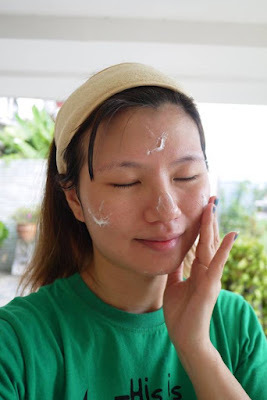 It has a very light scent, where would be a delight for people who scared of the strong smell of facial products. My skin loves this moisturizer a lot; it made my skin more plump and healthy than it has in a while. It has also reduced my redness. I especially love the advice innovative sterile packaging, that promotes 0% Paraben and 0% preservative. The unique D.E.F.I sealing system is so special; with a gizmo on top of the lid which was designed to let the lotion out, yet also keep air out, for the "sterility" of the product lifelong. I find it really hygiene and helps in keeping the freshness of the product without worrying about contamination after opening. 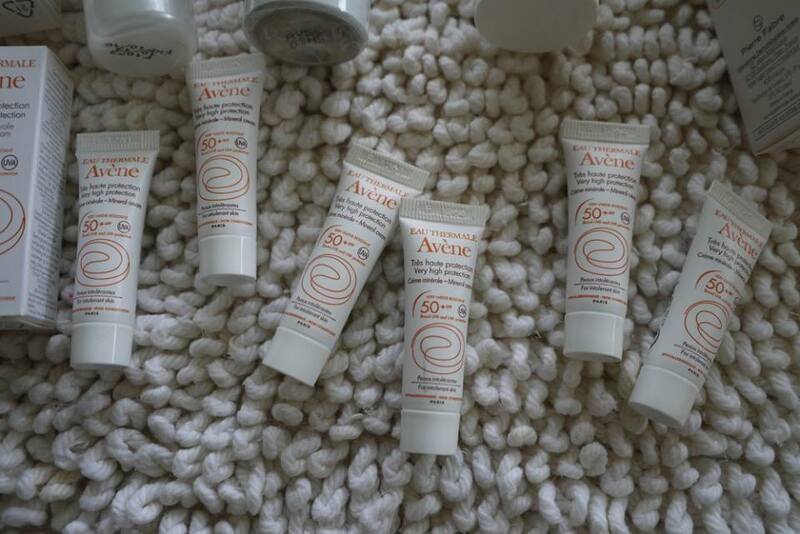 Most importantly, the price of Avène Hypersensitive Skin Care Range is reasonable. Avène Extremely Gentle Cleanser Lotion 200ml is selling at RM 65, and Skin Recovery Cream (D.E.F.I) 50ml is retail at only RM 79. You could get Avène Hypersensitive Skin Care Range at leading pharmacy nationwide. i love avene too. 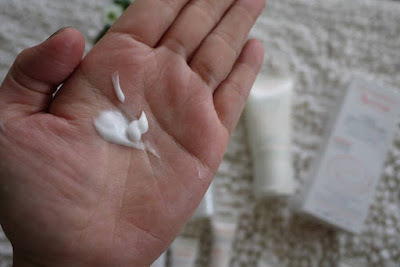 Great products for sensitive skin. Get their free samples before but don't know how to use it.. this post quite useful to me :D hahaha..
Looks like a good range. I have not used this brand before. Maybe it's time to start. Haven't try their products before but now I would like to try! 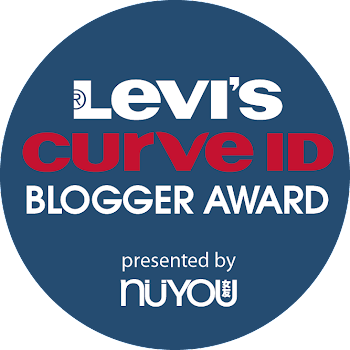 I love this product so much! I am using their foam cleanser and mist! I'm using thermal spring water, it's really good to use. Maybe can try on others product. This is a good product especially Avene Thermal spring water. i currently using it and put it in my bag. I can use it anytime to refresh my face. Wow, that's a whole lot of range of Avene product. First time hearing the brand though because I don't really like changing to different products once I'm used to a particular brand. However, this product seems good. I have hypersensitive skin as well. Definitely will give this a try! Yes, Avène is one of the gentle and mild skincare that suitable for sensitive skin users. their product is simple but really works for me too, i used to try the acne range. Avene products are quite good but heard they are equally expensive too. good to know another good range of product - and it's affordable too! it's so nice to have so many choices of products to choose from nowadays! i'm still stuck with my oxy acne wash.. hehe. 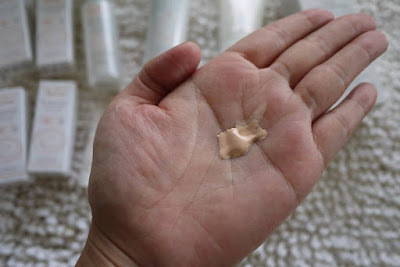 Does the moisturizer absorb fast? Is it oily after that?